We have unique facilities for environmental testing here at SSL. These facilities allow our engineers to do multiple checks along the way, throughout the design process, instead of waiting for the final flight test to discover problems. 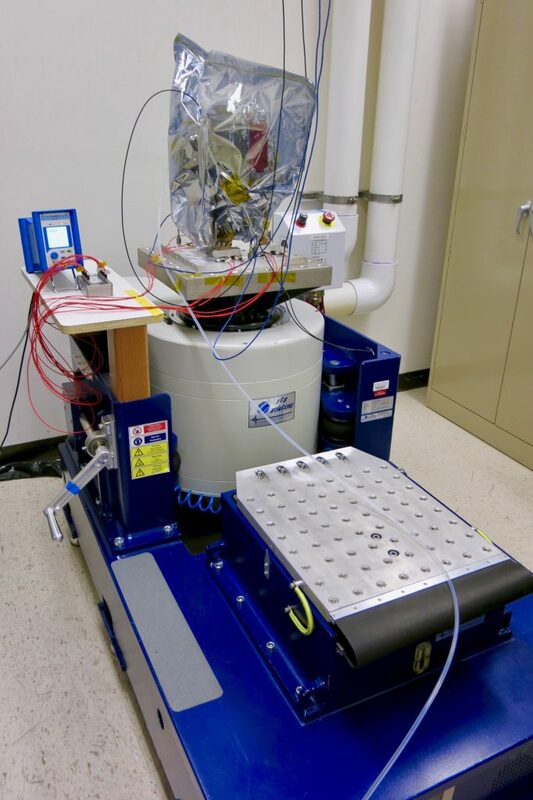 Our in-house vibration table simulates the shaking an instrument will experience during launch. It has the capacity to shake instruments weighing up to 15-17 pounds, which means we are able to do almost all of our vibration testing on site. 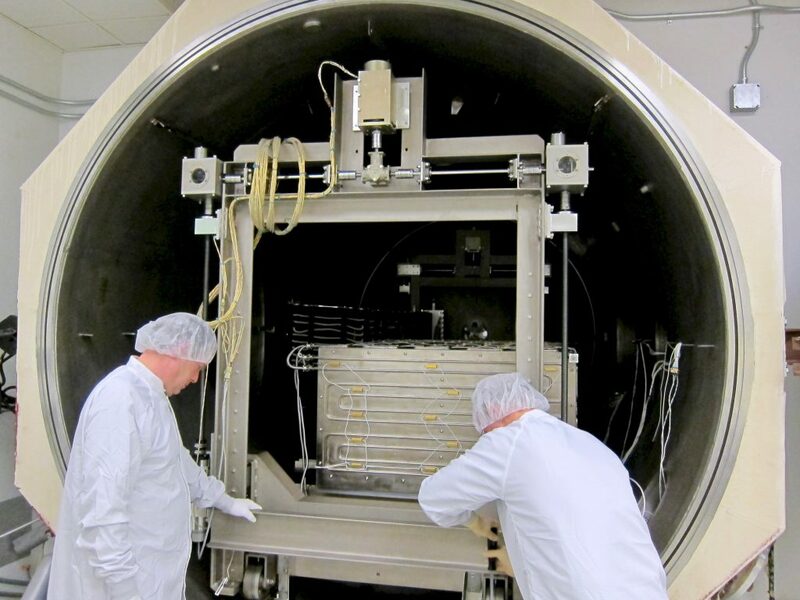 We have several thermal vacuum chambers where engineers can chill and bake instruments to simulate the conditions they will be exposed to in space. Our thermal vacuum chambers accommodate full mechanical deployments of instruments, at temperatures from above 100℃ to well below -100℃. We have the ability to run all of our electronics inside the chambers and make sure they function correctly. We can even do full G-negated deployments of antennas and booms up to 7 meters in length inside specially-built chambers.